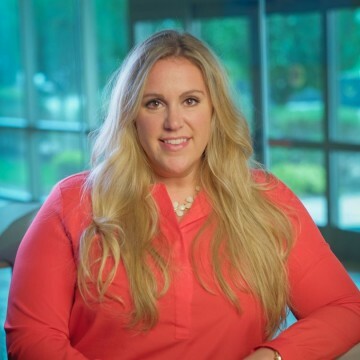 Katie Marron is the Corporate Director of Marketing for North Central Group. Katie oversees the Marketing & Digital Marketing activities for North Central Group and our portfolio of hotels. She is responsible for driving activation of Hilton and Marriott brand digital strategies to maximize online revenue and profitability for our entire portfolio of hotels. She is also responsible for developing marketing strategies and material for North Central Group and all our hotels. Katie graduated from Cornell University, School of Hotel Administration with a Bachelor of Science degree. With over 15 years at North Central Group, Katie began her career as a Sales Manager for two North Central Group hotels in the Milwaukee area. She has worked in various capacities ranging from Development & Operations Coordinator, Assistant General Manager, Marketing & eCommerce Manager to her current role. Katie is a member of the Marriott Digital Franchise Committee and is very involved in the local community. She is also a member of the Wisconsin Chapter of American Hotel & Lodging Association’s Women in Lodging.